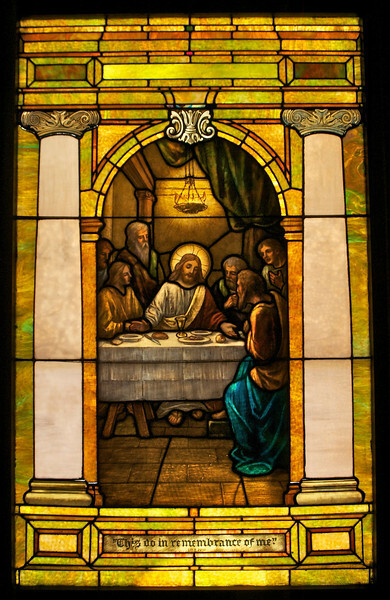 The Last Supper window is the one in most urgent need of restoration. The bowed effect you see across the bottom of this window is not a trick of photography. The weight of the window is causing it to bulge in the frame. There are places where you can see daylight because the bowing and sagging are causing the pieces of glass to separate.